TRAVEL.org - Cyprus. Find hotels and resorts in Cyprus. Search out country information, tours and activities. 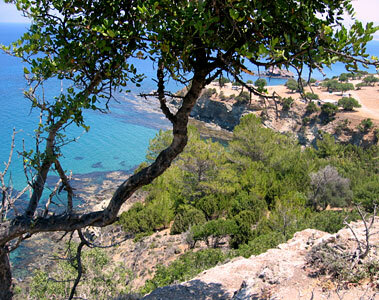 Visit Cyprus - The Official Portal of the Cyprus Tourism Organisation. Cyprus - The warmest welcome in the Mediterranean. North Cyprus Holiday Advisor - Book cheap package holidays to Northern Cyprus online. North Cyprus Car Hire - Book affordable Rental cars in Kyrenia. Pacific Rent a Car - Low-cost car hire in North Cyprus. Rent Cyprus Villas - Established in 1989 Rent Cyprus Villas is the leading holiday villa specialist in Cyprus with over 200 exclusive luxury holiday villas islandwide. Paphos Villas - Offers holiday villas for rent in Paphos, Cyprus. Includes rental villas in Coral Bay and Polis/Latchi.